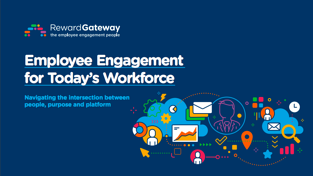 In your copy of "Employee Engagement for Today's Workforce," discover the changing employee engagement landscape and how to better connect with your workforce. Anniversaries are a funny time. I’ve been the Experience Manager at Reward Gateway’s London headquarters for a year now. I might not remember the events of my first day, but I do remember my very first task. The task, on paper, seemed simple: Celebrate employee birthdays. Sure, that’s easy, I thought. I’ll just get a cake and stash some candles. We can gather round some people to sing happy birthday, they’ll make a wish and we’ll have checked that off. But, always one to push the boundaries, I wanted to think outside the box and do something special, that would make everyone in the office — the globe, even — recognize that employee’s special day. And very quickly it hit me. I had failed to consider the fact that I sat in front of a huge video wall, much like the BBC newsreader. Locate all employee birthdays and copy them to my calendar. Access our employee photo library. 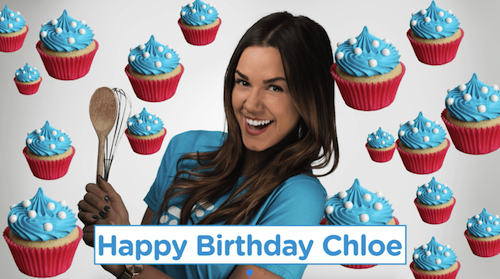 Get creative with Keynote/Photoshop and produce a personalized birthday message. Since that first day, I’ve used these birthday messages as a perfect opportunity to be creative, and also as a unique way of bringing delight and unexpected pleasure to others. * It has also helped me get to know all of the Reward Gateway employees. When I’m having a conversation and asking questions, ultimately I’m getting to know you and collecting information, figuring out what your likes and dislikes are and what are the things that bring you joy. Initially my efforts were a bit basic but i am happy to report that I have really honed my skills and this task still brings me joy on a daily basis. 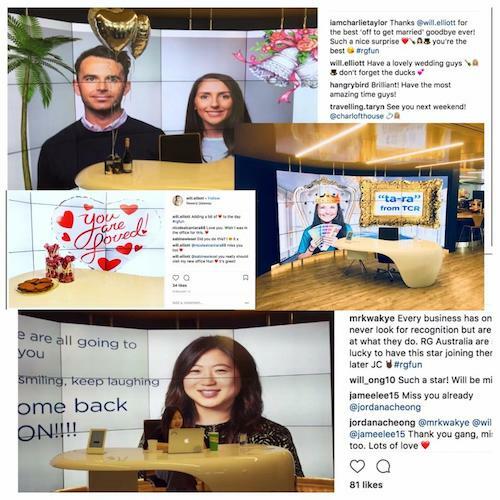 Prospects or candidates that come into our London office (and others, as the other office managers are quickly giving me a run for my money on how to use video walls!) 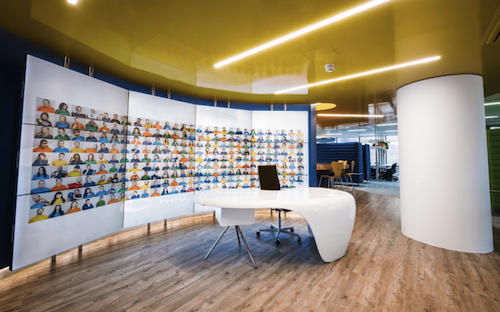 instantly get a look inside at what it’s like to work at Reward Gateway. By using the video wall to improve our Employee Value Proposition and as a creative way to recognize my fellow workers, I’ve helped boost employee engagement at our own organization. Will Elliott is an Experience Manager at Reward Gateway, using the video wall as his creative muse to spread good cheer around the whole office.